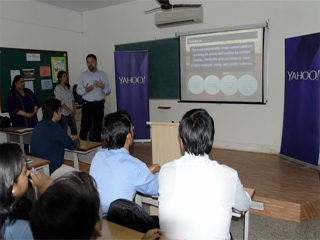 A special session on Tumblr was conducted by Yahoo for PGDM-RM on 19th October'15. Mr. Syed Emam, Head Sales Strategy & Media Solutions - Yahoo India & Ms. Nidhi Gulia, Marketing -Lead, Yahoo India delivered the session. Tips on Usage of Tumblr, blogging and difference in various blogging sites was discussed. 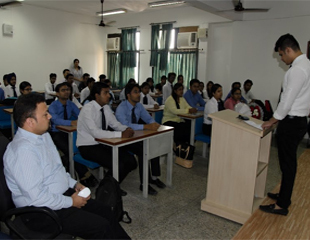 It was quite an interactive session and students gained lot of knowledge on blogging, various types and its importance. Students received interesting gifts on participation.